Konica Minolta was created by the merger of Konica and Minolta in 2003; the subsequent models were branded "Konica Minolta". One of the best new products of the company was the award-winning film scanner Scan Elite 5400 II. Another success was the production of zoom lens units for small cameras and lens units for the microcamera modules of mobile phones. Konica Minolta announced in January 2006 that it would stop all its activities related to photography, such as camera design and production, analog or digital, as well as the development and production of film and photo paper It transferred "certain assets" (especially its know-how about making autofocus SLRs, AF lenses and DSLRs) to Sony, which has developed DSLRs compatible with the Konica Minolta AF system (Dynax/Maxxum/Alpha/Alpha Sweet). For cameras made before the companies merged, see Konica and Minolta. 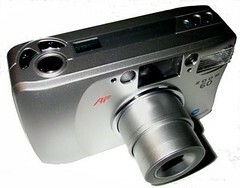 The very first new models from after the merger got the Minolta badge, too, and are listed below. 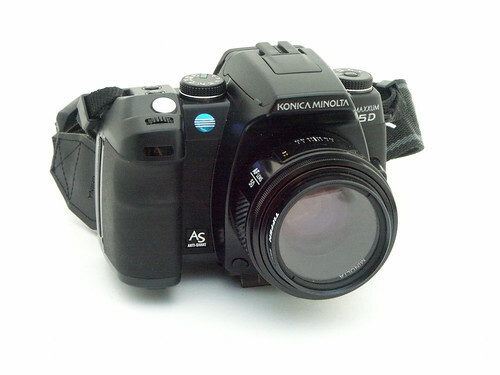 Since Konica Minolta did not last long as a camera maker, all its products (new and reworked ones) are listed. The company still offers zoom lens modules for compact cameras of other makers. The Dynax/Maxxum/alpha (Maxxum in North America, alpha in Japan, Dynax elsewhere) lenses are Minolta's 35mm autofocus SLR lenses. The Dynax cameras are the line of cameras that use these lenses. 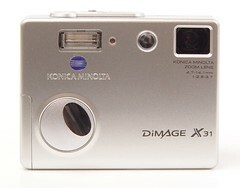 Konica Minolta maintained the Dimage name that Minolta had used for digital cameras. Konica Minolta continues to produce camera lenses. 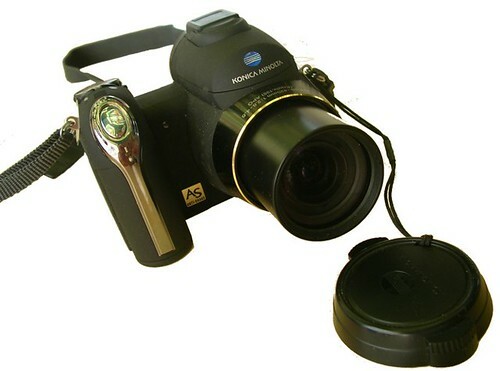 It still offers compact zoom lenses with aspherical plastic lenses for small CCDs and zoom ranges from 6× to 25×, as well as light-weight mono-focal and zoom lenses for compact cameras and miniature lens units for cell phone cameras.